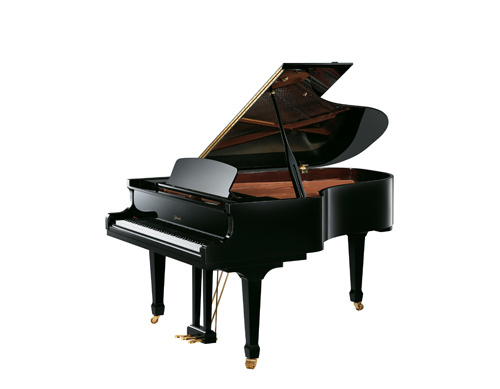 Created by master piano designer, Lothar Thomma, this piano has become the favorite of many small performance venues. Re-engineered with quality components, it has everything the demanding player looks for; a functioning duplex scale, a solid spruce soundboard, new calculated string lengths, slow-fall fallboard and much more. Each piano is produced with precision assembly technology employing hand craftsmanship that distinguishes it throughout the music industry. Bridges: Vertically laminated with solid maple cap resulting in a purer sound. Pinblock: 19 cross-plied laminations of hard rock maple, cold pressed & age cured to provide tuning pin stability.